I have been an Animal Reiki Practitioner since 2007. 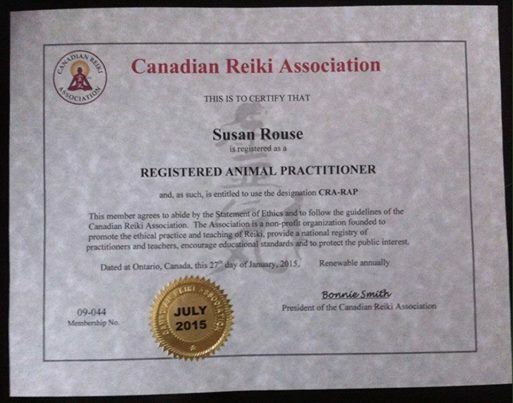 The Canadian Reiki Association have added a registered Animal Reiki Practitioner designation. As of January 2015 I am now a registered Animal Reiki Practitioner through the CRA.